One challenge anyone who moves abroad faces (especially if you’ve done so for Kingdom interests) is being able to support yourself to stay abroad. Most spend considerable time thinking of ways to support themselves. There are many ways to accomplish this especially if you think outside the box. For us and our location, teaching English has been the way to go. Before moving here we both took classes to become certified to teach English. This preparation has paid off too. With Jehovah’s blessing Antoine has been working since we arrived in Spain. However, he will not be working for three months because of the summer break. As June gets closer and closer we have been thinking of what to do and examining different options all the while relying on Jehovah of course. So while I have enjoyed not working, it looks as though those days are coming to an end. The thing is that not working has been an unexpected perk 😉 When we moved here I had a job, then without notice I was laid off. Then when we moved to Bilbao, Antoine’s company offered me a chance to substitute for a teacher going on maternity leave, however, I wasn’t able to get all my paperwork done in time. This seems to have worked out better I think. Can you imagine me having to deal with these kids? 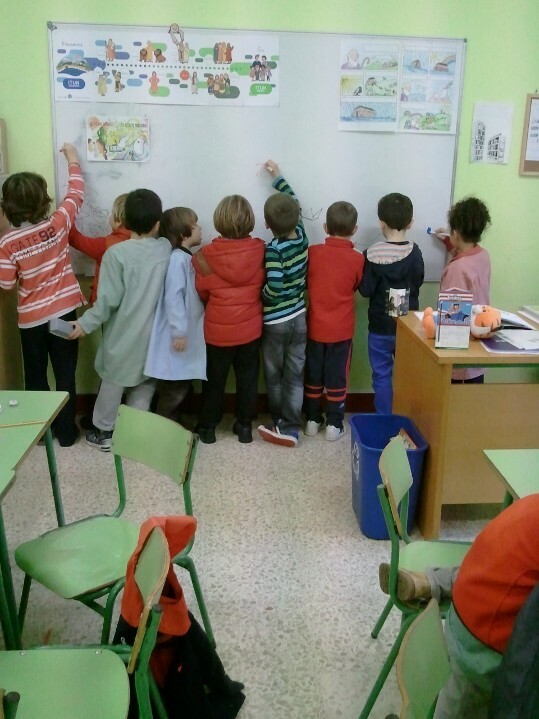 I’m not cut out to teach Spanish kids, I’d be so overwhelmed! A few months ago, Antoine sent me an ad for a company located in Germany looking for people to teach English online. I applied and thus began a long and involved interview process that lasted over a month! Imagine four interviews with different people, three trainings and preparing and teaching three ‘mock’ classes, where you were observed and rated! It took much time and effort. Finally, when I was just about fed up with this whole process- I was hired! The funny thing is I never even applied anywhere else. It was as if this position just fell in my lap! It really is a blessing!